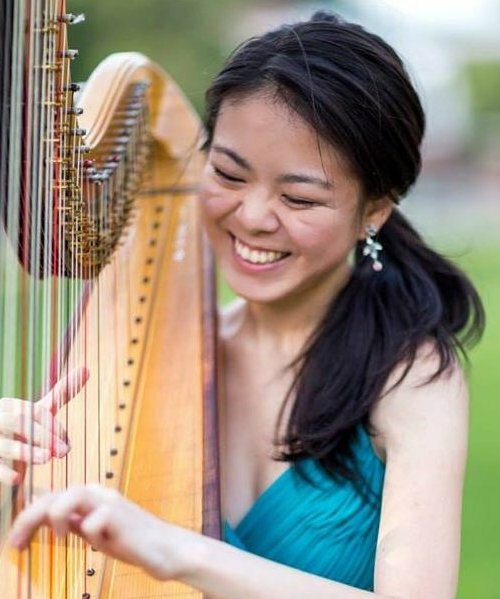 Peggy Houng is a second year master’s student studying Harp Performance at the Jacobs School of Music of Indiana University with Susann McDonald. She holds a BM in Harp Performance from the Peabody Institute where she studied with Dr. Ruth Inglefield and a BA in Cognitive Science from the Johns Hopkins University. In 2012, Peggy toured with the Asian Youth Orchestra and won 4th Prize in the advanced division of the 24th Nippon International Harp Competition in Soka, Japan. Most recently, Peggy won the Catherine McDonald Memorial Award in the National Society of Arts and Letters Instrumental Competition and was a harpist in the National Music Festival and the Miami Summer Music Festival in 2015. In addition to performing, Peggy enjoys teaching the harp and was a faculty member of the community outreach program HarpAdventures where she taught both private and group harp lessons in Baltimore, Maryland.